16 January 1963 Registered as G-ARVL to BOAC. On the registration document the c/n 813 was initially listed but this was corrected to 814. 2 June 1964 First flight. 16 June 1964 Delivery to BOAC as G-ARVL. 1 February 1965 HM The Queen and the Duke of Edinburgh travel to Addis Ababa for a state visit to Ethiopia. 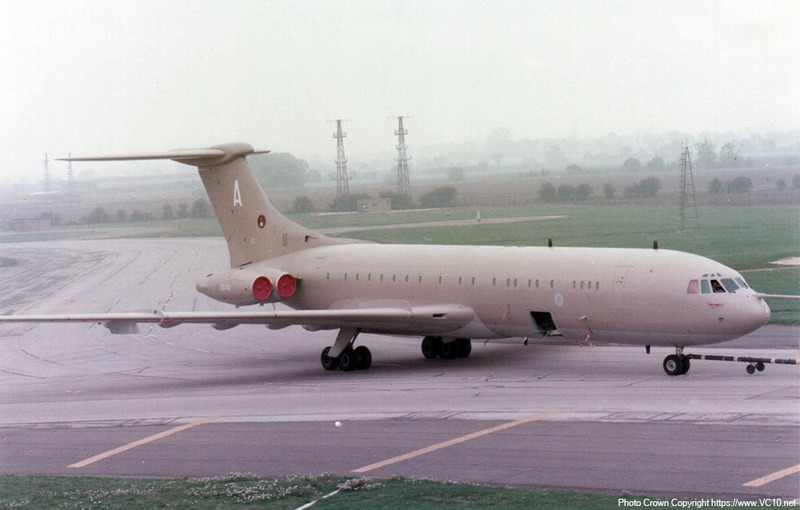 First Royal flight on a VC10. 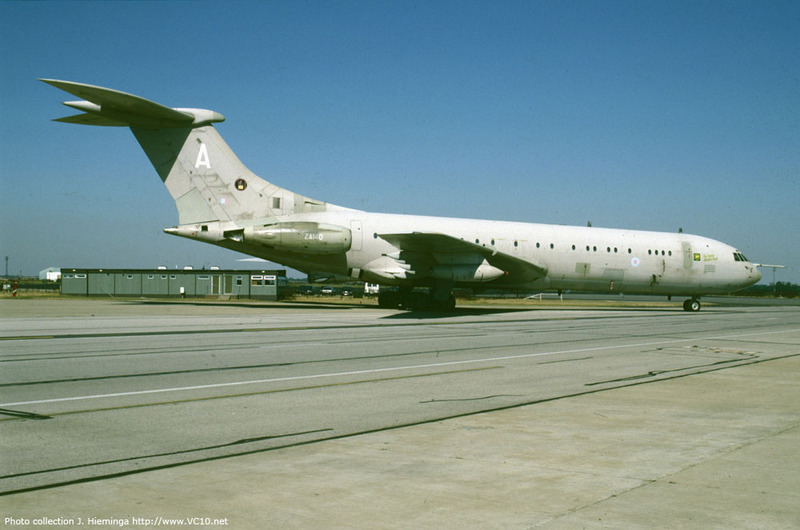 31 July 1968 Incident at Lagos, due to bad weather and a no.3 engine shutdown the VC10 diverted to Accra. The experimental carbon fibre compressor blades were found to be shredded due to the heavy rain. 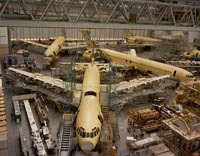 25 March 1974 Ownership transferred to Gulf Aviation Company Limited. 7 October 1975 Re-registered as A4O-VL in Oman. December 1977 Leased to Air Ceylon. 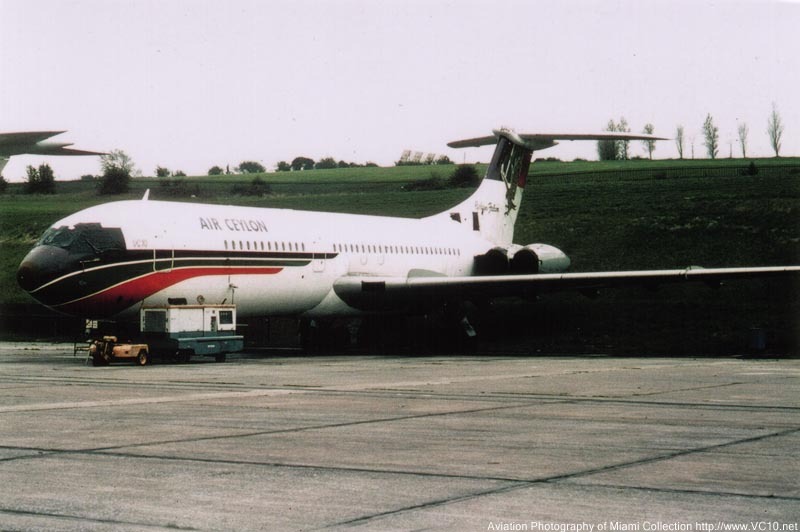 January 1978 End of service with Gulf Air/Air Ceylon. 1978 Sold to RAF for conversion to type 1112 K2 tanker. 25 June 1983 First flight after conversion at Filton. 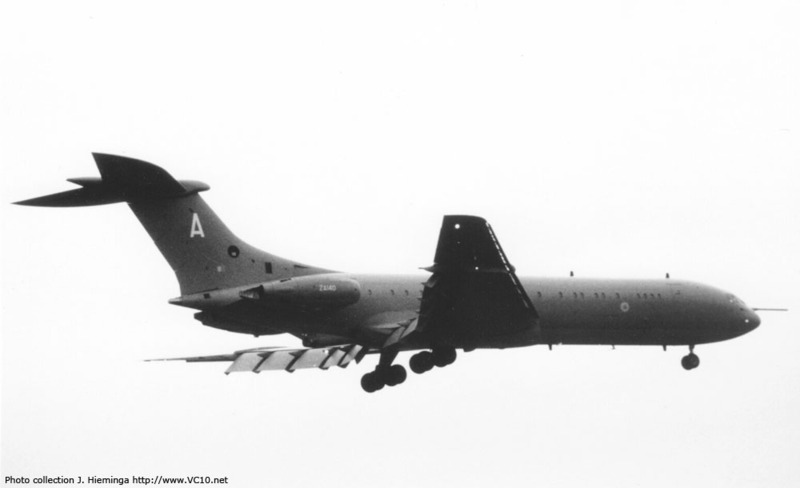 25 July 1983 Delivery to 101 Squadron as ZA140 'A'. 1991 Acquired 'The Empire Strikes Back' nose art during its Gulf War service. May 2000 Withdrawn from service, final flight to RAF St. Athan. 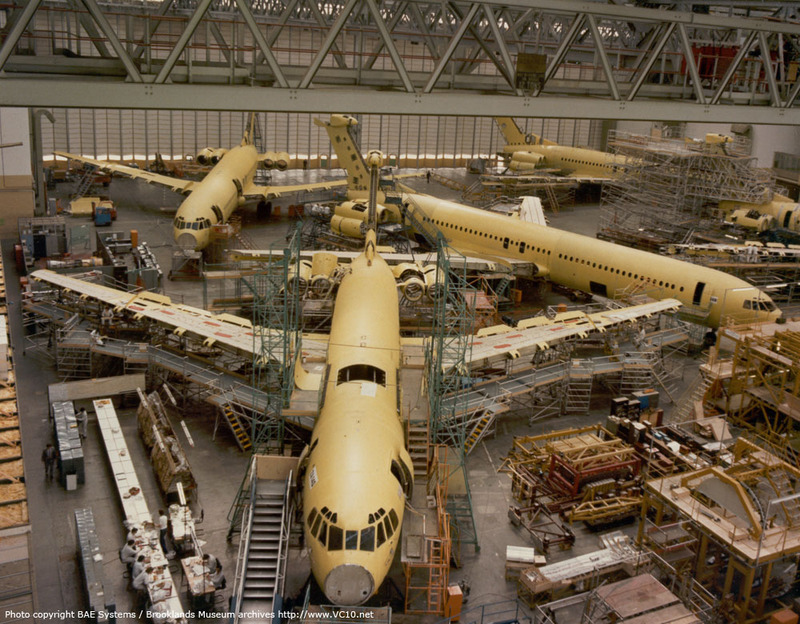 March 2001 Scrapped at St. Athan. 1. 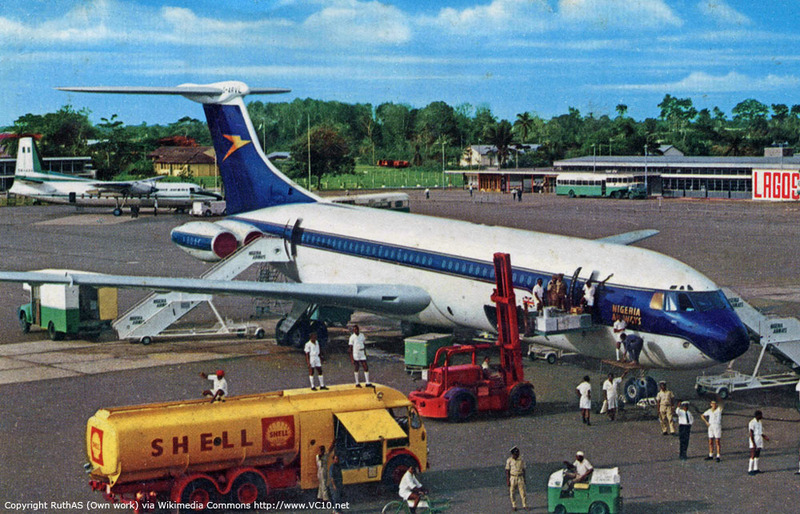 This bright image shows G-ARVL in the first BOAC Golden Speedbird scheme and with Nigeria Airways stickers at Ikeja airport, Lagos in 1969. 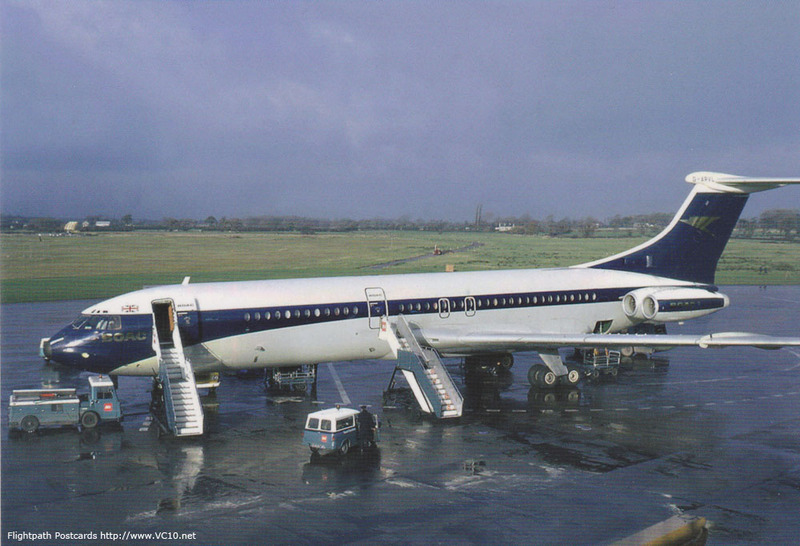 Although there are no photos available showing the previous scheme on G-ARVL, it most likely was initially painted in the old BOAC livery but this was changed around the time of its first flight. 2. 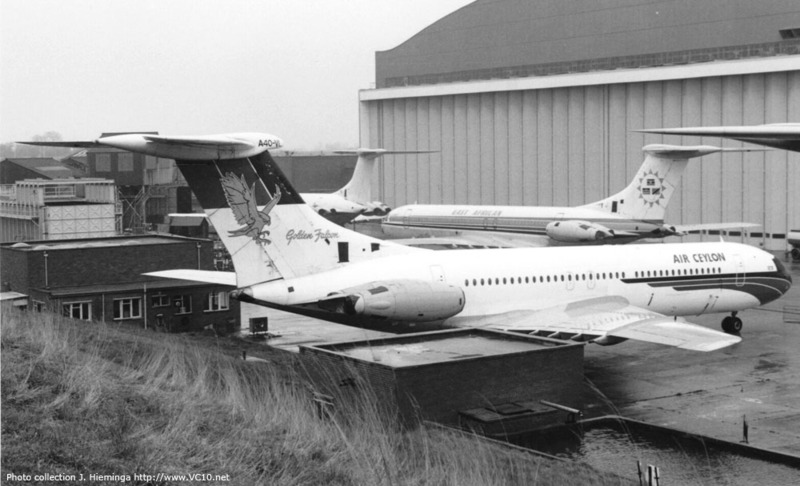 By December 1969, when this photo was taken at Manchester Airport, 'VL had been repainted in the second version of the BOAC scheme. 3. 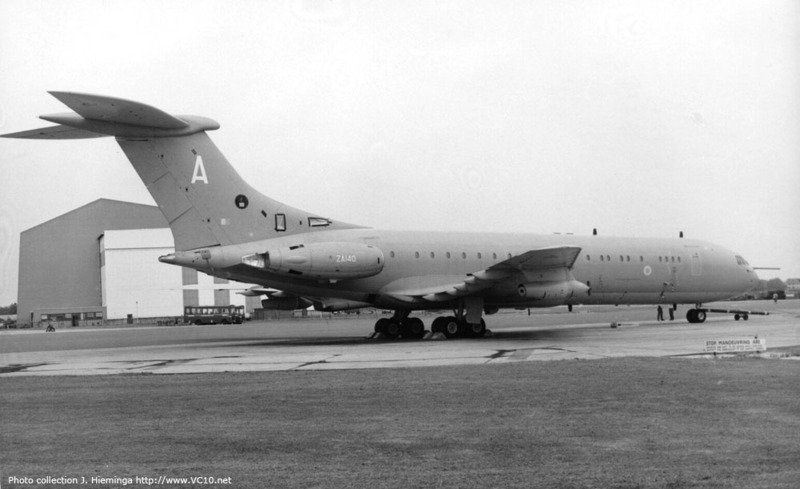 Ownership of the aircraft was transferred to Gulf Aviation Company Ltd. but in effect the VC10s were still owned by BA and kept their British registrations. 4. In October 1975 the aircraft was re-registered as A4O-VL in Oman. 1. 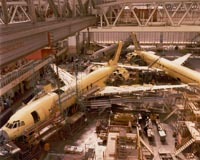 'VL was one of two Gulf Air VC10s (the other one being 'VI) to receive the modern 'Golden Falcon' scheme. 2. A4O-VL with Air Ceylon titles taxiing past Omani A4O-AB at Heathrow. 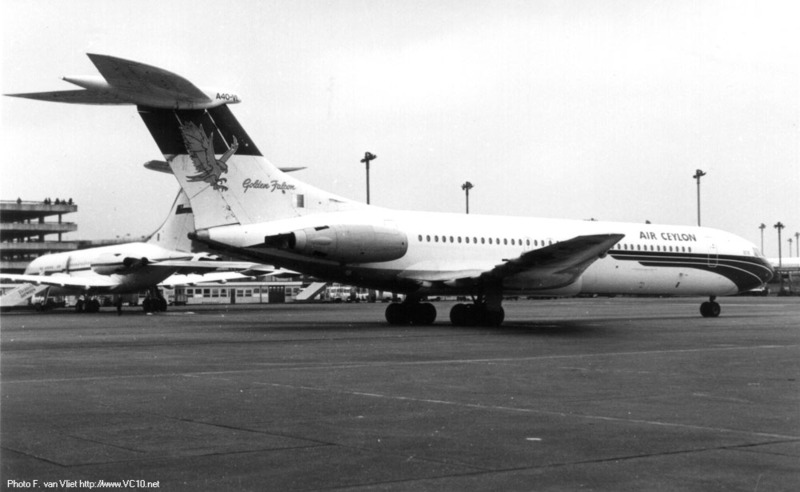 The aircraft was leased to Air Ceylon between December 1977 and January 1978. 3. A4O-VL was stored at Filton next to the ex-EAA fleet. 4. 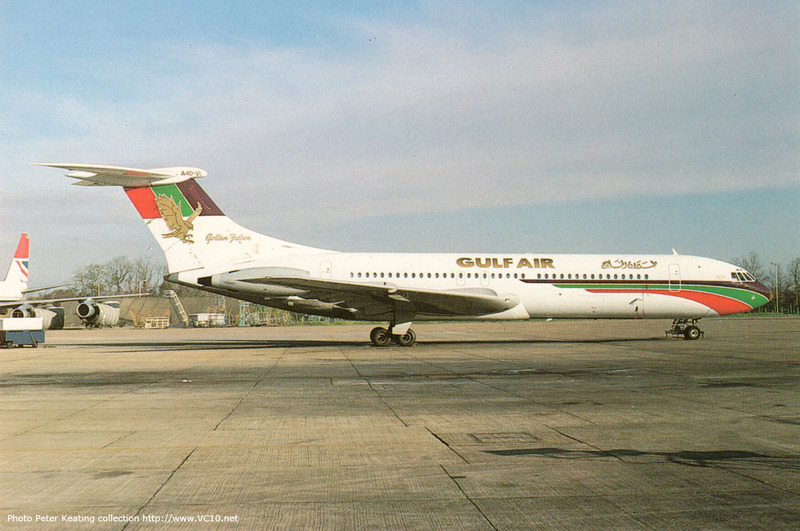 A4O-VL was still carrying Gulf Air colours but also wearing the Air Ceylon titles. 1. ZA140, ex-A4O-VL, is seen here in front while being converted to a K2 tanker. The next airframe behind it is a K3 with another K2 in the rear left corner. 2. The hole in the roof that had to be cut to get the extra fuel cells inside is clearly visible in these images. 3. After completion the aircraft entered service with 101 Squadron in 1983. 4. 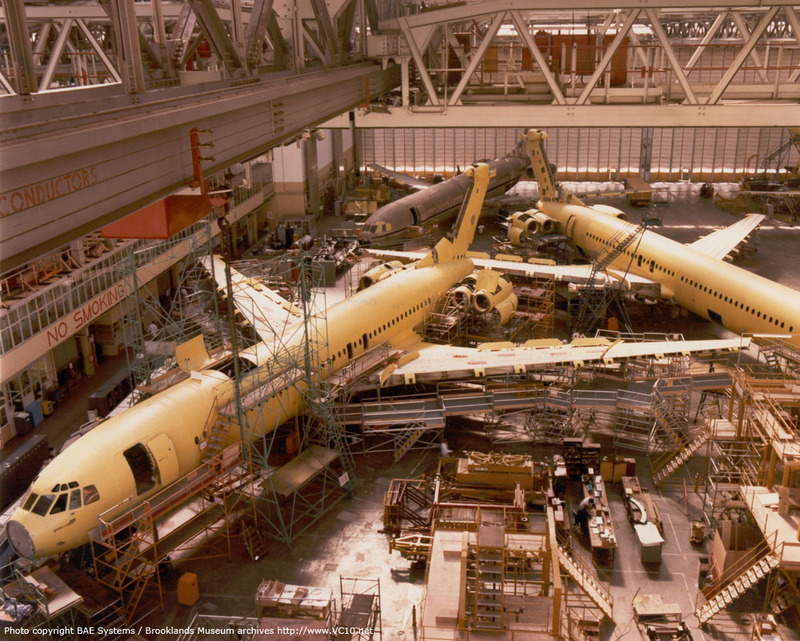 Although it had the highest construction number of the five K2s, the RAF registrations were not allocated in sequence and ZA140 ended up as 'A'. 1-2. During the first Gulf War in 1991 ZA140 also acquired 'The Empire Strikes Back' nose art next to a BP logo. The logo referred to the squadron's radio callsign. 3. ZA140 is seen here with openings taped over, in temporary storage. 4. 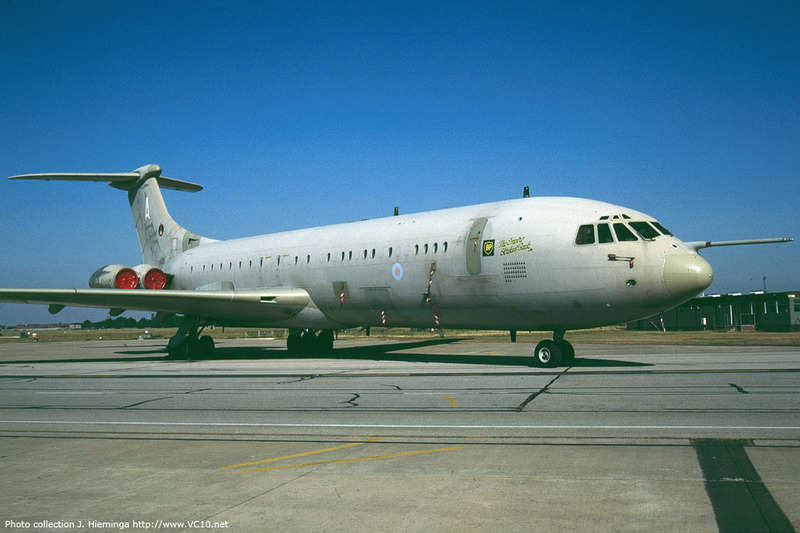 During the last years of its RAF service ZA140 was repainted in the modern grey colours of 101 Squadron. G-ARVL can be seen in the background during the first part of this footage of HM The Queen arriving in Ethiopia. GA Gulf Air 'Golden Falcon' scheme. 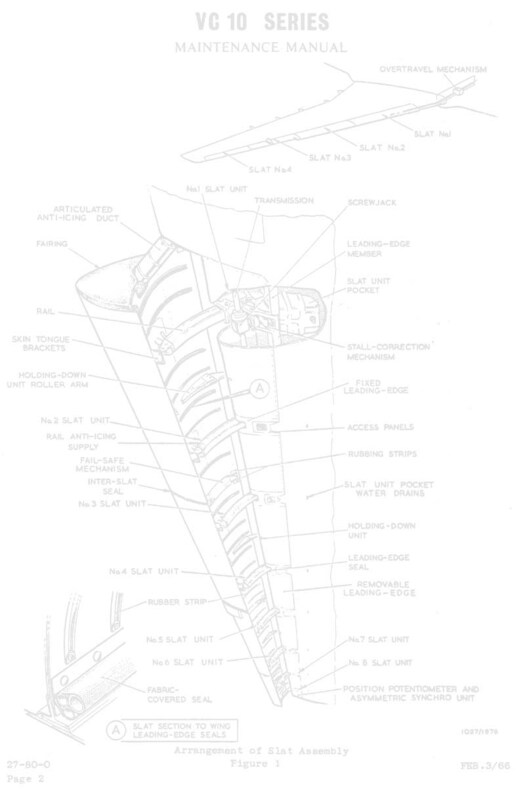 Overall white with scalloped purple, green and red lines flowing from nose to halfway down the fuselage. Same colours on top of fin with large golden falcon image below it. 'Gulf Air' in gold western and arabic script on fuselage top. AC Same as above but with 'Air Ceylon' titles on forward fuselage. RAF First RAF 101 Sqn 'Hemp' scheme. Grey undersides with hemp colours on top and fuselage sides. Toned down markings and large letter on fin. In 1991 a BP logo and the text 'The Empire Strikes Back' was added to the nose in front of the crew entry door. RAF All over grey scheme with large lightning flash down the side of the fuselage. Toned down roundels and fin flashes, code letter on fin.